Me to BigSis: Have you heard of Isaac newton ? Do you know who he is ? BigSis : Yes, yes, he is the guy who said we should wash our hands twenty times with soap and water to kill germs. BigSis: Yes, that is why he said to wash hands !!! A few weeks back, little neighbor girl has come over to play. Me, with my favorite question: Have you heard of Isaac newton ? Do you know who he is ? Big Sis very interested : Yes, yes, he is the guy who said we should wash our hands twenty times with soap and water to kill germs. Little NG: BM Aunty, Yes, apple will always fall down from tree, will not go up but Hand washing with soap and water really kills germs. Now really who is this guy. Where in the Principia did Sir Newton tell us to wash our hands ? For now I am washing my hands off this and cooking up a chicken stew with loads of vegetables. You do too. A warm bowl to cool a hot mind. 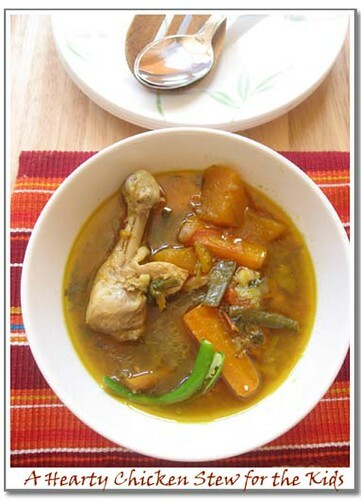 I make a chicken stew(you can make with mutton too) with loads of vegetables every week. 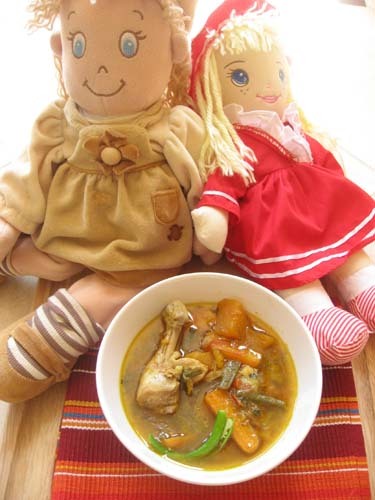 Little S loves chicken and this stew, Big Sis at her current stage not so much chicken but still likes the broth part. Every week the vegetables change, the spices change but the stew is always there.Till about 6 months ago I would puree the vegetables like this egg curry. Now I just put everything in the pressure cooker. The aroma is divine. With a hot green chili, it makes a lovely dish even for the adults. There is no set recipe that I have. I go along with the flow and some week is just better than the other. 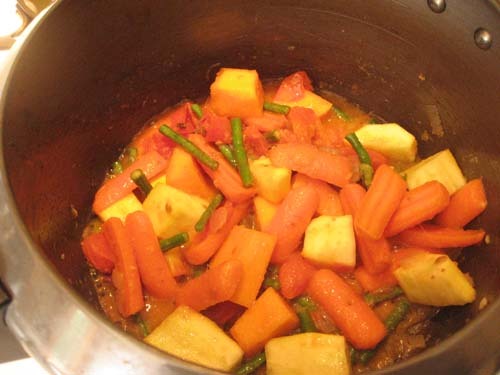 The spice mix I used a couple of weeks back was different, a bit unusual and I liked it. That is the only reason I am putting the recipe here. Now tell me, what is your child's favorite everyday food ? Hope you all had a Happy Eid and a lovely Ganesh Chaturthi. The measurements etc. are totally eyeballed, go with your instinct. Add about 1 small onion chopped fine and fry till onion turns brown on the edges. Add the masala paste and 1 chopped tomato. 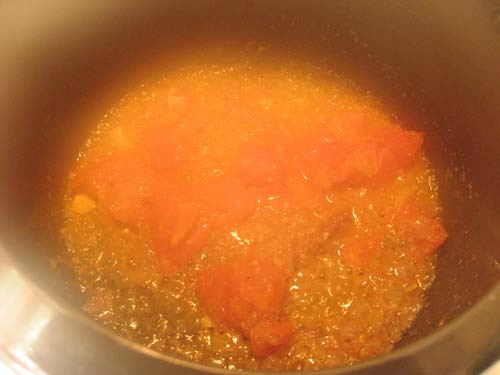 Fry covered till the oil is separating from the masala and the tomatoes are all mushed up. Add all the vegetables (potatoes, carrots, zucchini, green beans, few leaves of spinach, a beet maybe), sprinkle a little salt and saute for 2-3 minutes. Next add the marinated chicken pieces and saute till the meat is no longer pink. Add enough warm water so that the meat and vegetables are fully covered. Add a fistful of fresh coriander leaves.Pressure cook for about 5 minutes at full pressure. Garnish with fresh coriander leaves and lime juice. Serve as a soup or with rice. Maybe Mr Newton did say this!LOL. Who are we to know! Nice dolls and stew. Looks super delicious,stew makes me hungry..
You will understand the connection some other day when she says something else. Happens all the time with K- she says something which makes no sense to us till one day much later we understand the context and her understanding of it! Love that conversation. I do not know what it is with washing hands but for most American schools it is more important than Isacc Newton!! I bet this Chicken stew would make even Newton happy. My parents made something similar to this for us as we grew up in London. When just Baba was left he continued to make it for my boys. Now it is just me that makes it...and apparently you too! In our family it is called 'Dadu chicken'. A favourite on any day of the week. you are hilarious, really poor Newton!! Chickes ishtew looks yummy specially with the doll eaters!! Haha U made my day, missed ur precious posts I guess. I will catch up this weekend. 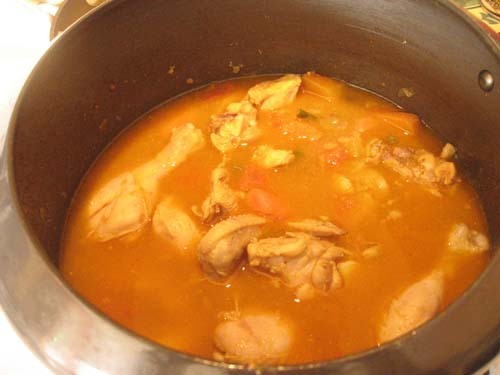 I never made chick stew probably it is time to give a try, we should love it! Gorom gobindobhog chaal diye - aha ! Your chicken ate up my comment! Like Miri said, I am sure there is a connection somewhere between Newton and handwashing. Will reveal itself eventually. I have never made or had chicken stew in my life but I think this will be perfect for a winter evening, contingent on Tx winters which start anywhere from mid to late December. so glad to see this recipe. I recently made a version of this when we were all getting over a cold. Newton answer is too funny! Great story. Was the edifying exchange, Round One, in Bangala? If so, I am trying to reconstruct the words, with mutual facial expressions, ala Baranday Roddoor for BigS!! You know Bangalis, we are like this only. Sandeepa, I REALLY REALLY am devasted that you have graduated to that dreaded "Aunty" stage of apotheosis, away from the "sizzling fox Mama" --can Dida, and Mashi be far behind? I hope not for ages!!! Anyways, back to the mundane: stews. Cauliflower, especially the harder parts that won't dissolve in the cooker (like the basal portion trimmed of its coarse epidermis & floret stems) and even some green peas make a tasty addition. There is a vegetarian option we used to make by carefully dry-roasting chapati flour [chakki atta, please]. This should become fairly brown & toasty. Think Cajun brown roux minus the fat!! After bhunao-ing the veggies in the masala, carefully making sure that the roasted atta has been icorporated into the residual masala-fat-veg. mix. Then slowly add hot water in small aliquots, gradually making up the full amount of desired gravy, allowing the flour to thicken in-between.Roasting will reduce its thickening power hugely & give it this toasty body. You can cover and cook on stove or under pressure, with discretion. 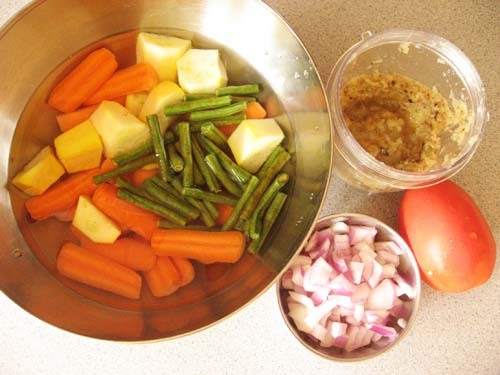 Even boiled eggs can be added later, after veggies are 3/4 done, for ovo-lacto vegetarians. 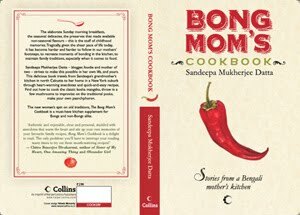 Sandipa, I sincerely want to thank you for this recipe! 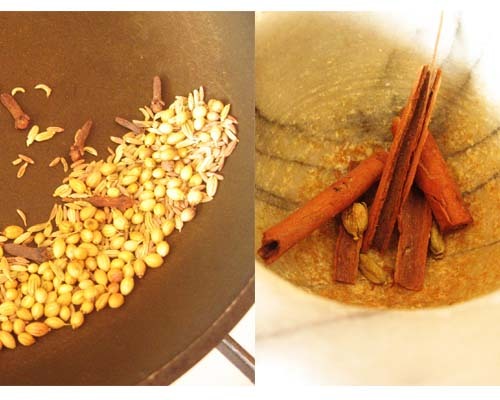 I loved it more because of the use of cinnamon, cloves and cardamom... I love the aroma of these spices! Surely gonna make this today or tomorrow... Thanks again! can you tell the receipt of vegetable stew no chicken. Thank you. I felt feverish and this very momly stew nursed me back to health. Loved it. Reminded me of my mom's cooking. Thank you for such amazing recipes! !I dread kitchen & ur recipes are such relief!! Tried this one yesterday,turned out great!! Thanks again! !